1 lipstick, 1 typewriter, 8 chairs, 1 table, 30 3D sculptures and paper. 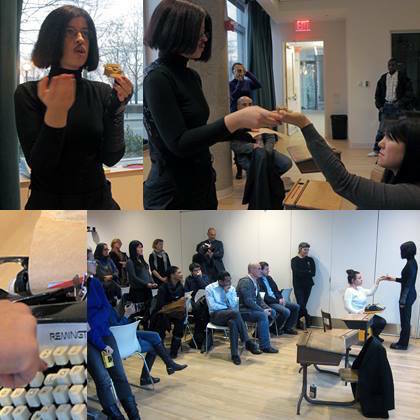 Place of event 2014 Pessoa in New York, Poets House, organized by the Arte Institute, New York - USA. This performance piece entitled “Heterônimos“ is based on Fernando Pessoa's written works. This piece deconstructs and rethinks Fernando Pessoa/Alberto Caeiro/Alvaro de Campos/Ricardo Reis’s poems and texts both vocally and physically and at the same time asking the audience to actively participate. Place of event 2014 World's with Objects: Myers Art Prizes, Macy Gallery, New York - USA. 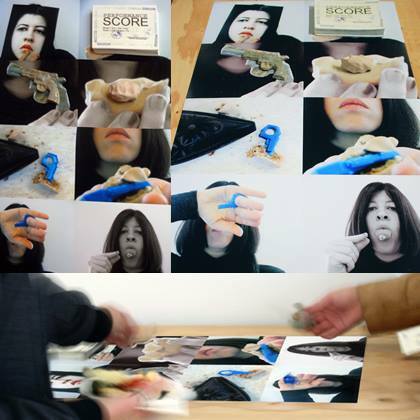 You can and may construct and deconstruct this DIY performance roulette. This board game brings 50 one-of-kind score cards to play and perform in any way imaginable. These object facsimiles and all objects reprinted or molded from cast are simultaneously part of the real world and representational, unreal worlds. This roulette game is a score to be performed, and also a game. Interpret as you desire. Use the pistol to choose who performs next, or give it away as a prize. 155 ceramic sculptures, wood, paper, charcoal, ink, monitor and dvd player. 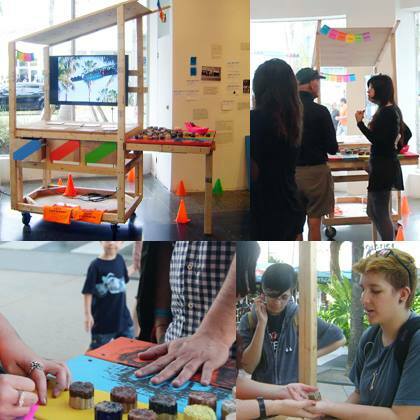 Place of event 2014 Road Work, ArtCenter/South Florida, Miami - USA. This performance piece is performed at the Road Work Project and is a variation of Beatriz Albuquerque project entitled "Crisis of Luck" but using Lincoln Road as a departure for her fortune telling. This project was presented in the past at the 17th Biennial of Cerveira: Arte: Crise e Transformação, Vila Nova de Cerveira in Portugal. Beatriz Albuquerque gained the Biennial award “Prémio Revelação“ with this Project.